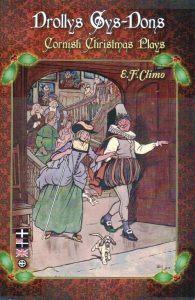 This book contains a number of versions of mummers or Christmas plays found in Cornwall nearly all with a Cornish translation. Not only this, but a number of Christmas and other folk songs again with Cornish translations. Without this book many of the plays would have remained unpublished in archives. It is to be hoped that soon we shall see a mummers play acted in Cornish!